For some decades now, progressively minded social scientists have argued that markets are too important to leave to economists — indeed, entire new subfields have formed in response to this concern. But this engagement with economic life has often been somewhat half-hearted. Particularly telling in this respect is the fact that these new fields have organized themselves centrally around the rejection of ‘economism’ — the idea that markets have self-regulatory properties. 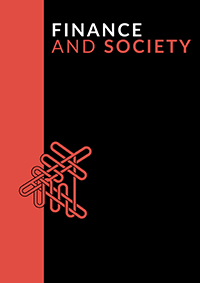 Scholars in fields such as political economy and economic sociology have devoted a great deal of energy to normative critiques of the market, but they have displayed much less interest in rethinking the core categories and principles of economic life itself. What the books considered here have in common, and what sets them apart from established ways of thinking, is a willingness to tarry with the paradoxes of money. This is an Open Access journal. All material is licensed under a CC BY-NC-ND 4.0 licence, unless otherwise stated. Please read our Open Access, Copyright and Permissions policies for more information.